600 people reached the top of Mt. Everest in 2012. This blog got about 5 600 views in 2012. If every person who reached the top of Mt. Everest viewed this blog, it would have taken 9 years to get that many views. If you cannot speak of the third skyscraper they blew up in new york and palestine, can you speak of it in oslo without being arrested? If you cannot speak of the third skyscraper they blew up on the net or over the phone, can you speak of it on the streets of stockholm without being arrested? If you can speak of the third skyscraper they blew up in copenhagen, can you still go to london without being arrested? If you can speak of the third skyscraper they blew up in dublin, can you speak of it on the net or over the phone without being arrested? If you cannot speak of the third skyscraper they blew up in london and berlin, can you speak of it in reykjavik without being arrested? If you cannot speak of the third skyscraper they blew up on the net or over the phone, can you speak of it on the streets of moscow without being arrested? If you can speak of the third skyscraper they blew up in lisbon, can you still go to berlin without being arrested? If you can speak of the third skyscraper they blew up in reykjavik, can you speak of it on the net or over the phone without being arrested? If you cannot speak of the third skyscraper they blew up in paris and amsterdam, can you speak of it in stockholm without being arrested? If you cannot speak of the third skyscraper they blew up on the net or over the phone, can you speak of it on the streets of oslo without being arrested? If you can speak of the third skyscraper they blew up in stockholm, can you still go to paris without being arrested? If you can speak of the third skyscraper they blew up in moscow, can you speak of it on the net or over the phone without being arrested? If you cannot speak of the third skyscraper they blew up in rome and new york, can you speak of it in moscow without being arrested? If you cannot speak of the third skyscraper they blew up on the net or over the phone, can you speak of it on the streets of reykjavik without being arrested? If you can speak of the third skyscraper they blew up in moscow, can you still go to amsterdam without being arrested? If you can speak of the third skyscraper they blew up in lisbon, can you speak of it on the net or over the phone without being arrested? If you cannot speak of the third skyscraper they blew up in palestine and london, can you speak of it in copenhagen without being arrested? 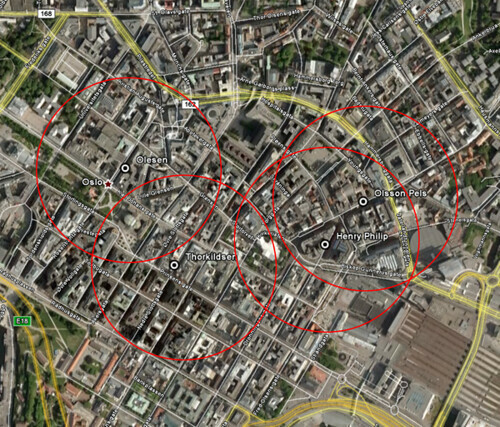 If you cannot speak of the third skyscraper they blew up on the net or over the phone, can you speak of it on the streets of copenhagen without being arrested? If you can speak of the third skyscraper they blew up in oslo, can you still go to rome without being arrested? If you can speak of the third skyscraper they blew up in oslo, can you speak of it on the net or over the phone without being arrested? If you cannot speak of the third skyscraper they blew up in berlin and paris, can you speak of it in lisbon without being arrested? If you cannot speak of the third skyscraper they blew up on the net or over the phone, can you speak of it on the streets of dublin without being arrested? If you can speak of the third skyscraper they blew up in reykjavik, can you still go to new york without being arrested? If you can speak of the third skyscraper they blew up in stockholm, can you speak of it on the net or over the phone without being arrested? If you cannot speak of the third skyscraper they blew up in amsterdam and rome, can you speak of it in dublin without being arrested? If you cannot speak of the third skyscraper they blew up on the net or over the phone, can you speak of it on the streets of lisbon without being arrested? If you can speak of the third skyscraper they blew up in dublin, can you still go to palestine without being arrested? If you can speak of the third skyscraper they blew up in copenhagen, can you speak of it on the net or over the phone without being arrested? If you cannot speak of the third skyscraper they blew up on the net or over the phone in 2011, can you speak of it in 2009 without being arrested in 2011?